Gwen Stefani is having a third baby boy with her husband Gavin Rossdale, who will join their two sons, Kingston, seven, and Zuma, five. 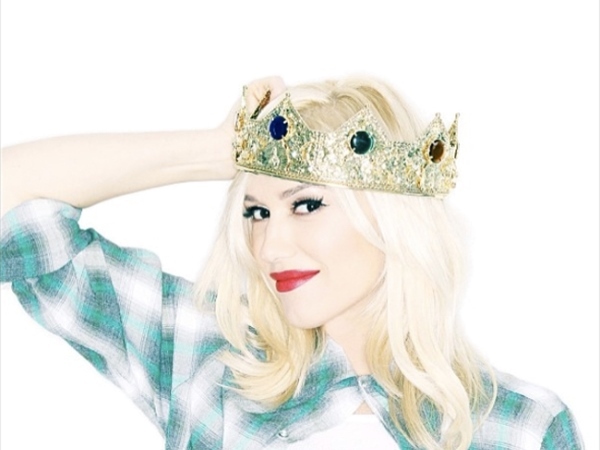 Gwen Stefani is having a baby boy. The No Doubt singer is expecting a third child with husband Gavin Rossdale, and confirmed today it will be another boy. Posting a picture of herself wearing a crown on Instagram, she captioned it: "I was ready to hand over the crown. but I guess I am still queen of the house. #itsaboy #surroundedbyboys (sic)"
Gwen has not said when the baby is due, but many expect it to be within the next few weeks, given the size of her baby bump. The new arrival will be a younger brother to Kingston (7) and Zuma (5). The 44-year-old star - who has a successful clothing range, L.A.M.B. , as well as singing in No Doubt - has previously told how she loves motherhood and watching her children grow. She said: "It's super fun being a mum but it's not what you think it's going to be. And it's really gradual. "When you have a family of your own it forces you to go into the adult world a little bit more." In addition to his family with Gwen, Gavin (48) also has a daughter, Daisy Lowe (24) from a previous relationship.